These photographs were taken at an anti-tobacco conference. 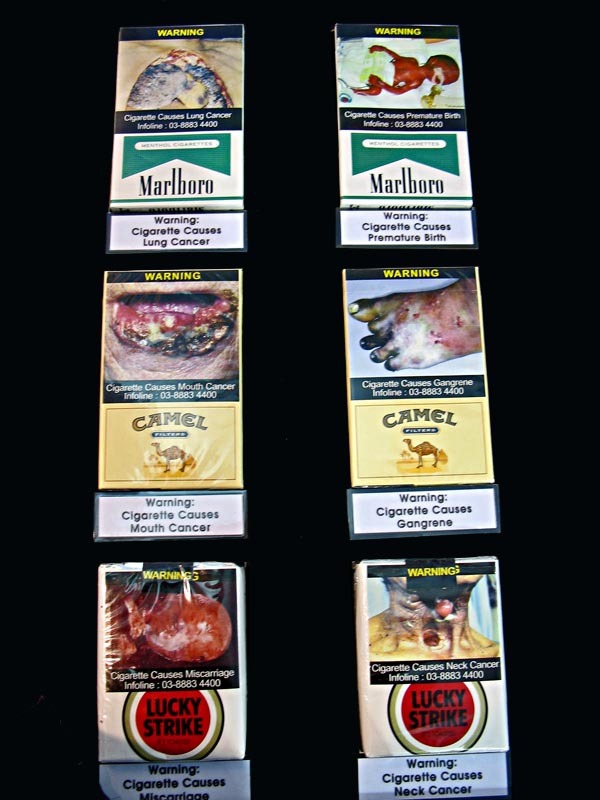 These are pictures on cigarette packs which warn people of the bad effects of smoking. these may make your stomach churn, but well, that is the reality. We can now make informed choices, at least in some parts of the world. These are pictures taken at the same conference. Anyone who is writing about the bad effects of smoking or tobacco packaging will find these images useful. Terrifice...very usefull to anti-smoking /tobacco campaign.